This study looks at the experiences of European and American companies that have collaborated with their Japanese competitors in the fields of computers, consumer electronics, automobiles and aero-engines, by forming joint ventures, designing products together and pursuing complementary marketing strategies. It examines why these companies have chosen to collaborate rather than compete; whether the Japanese companies have proved to be reliable partners; whether the non-Japanese have been left behind; and what the future of such collaboration may be. 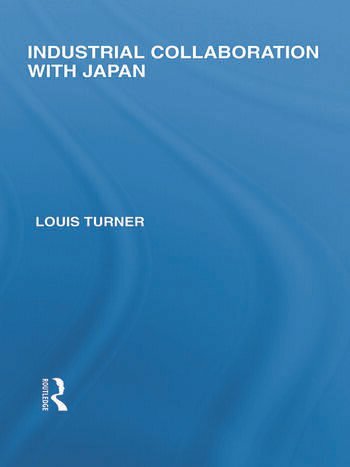 The book concludes by pointing to a growing interest among non-Japanese companies in investing and collaborating within Japan itself. 1. Introduction 2. What is industrial collaboration? 3. Collaboration and Japan: The History 4. West European and American Perceptions 5. The Consumer Electronics Sector 6. The Automotive Sector 7. Information Technology 8. Aerospace 9. Issues for Corporate Strategists 10. Issues for Governments. Notes.